Another great question for the Book Blogger Hop! This weekly meme is hosted by Crazy-For-Books. Please click the button above to check out the complete rules. This week's question is: "What are you reading now and why are you reading it?" 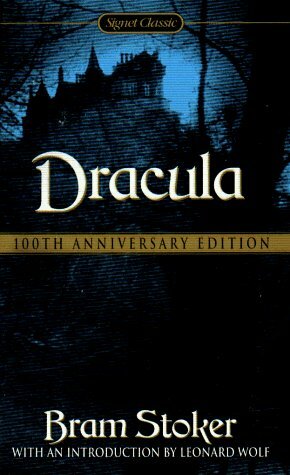 Answer: I'm reading Dracula by Bram Stoker. It is one of my favorite horror stories and I've seen many movie versions, but I've never gotten around to reading the actual book. It is a story that is so enmeshed in our collective unconscious that I think everyone knows who Dracula is and they certainly know what a vampire is! It is a classic, it is one of the most famous books ever written, it is it still being published, and I would say it is the basis of a cultural phenomena. Well this year I decided that I *had* to read this book, no more putting it off! So, I came up with The Dusty Volumes Reading Challenge. (Click side button for more information.) I downloaded it for free on my Kindle and I'm really enjoying it. It seems at odds to read such a classic piece of literature on such new technology, but it is really not lessening the experience. I hope to put my review up soon! Hopping through. I should really read Dracula since I love vampire books. I hope you love it. Ohh, Dracula! I haven't read that in a long time. Hope you're enjoying it! I think Dracula (the one with Anthony Hopkins and Gary Oldman) is one of my most favourite movies. 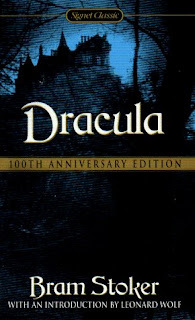 I am going to read Dracula sometime this year. It might be in spurts, but I'll do it! Glad you're liking it! Neat header and blog design. Stop by my blog if you like to see my answer and to read my reviews. Hopping by to say hello and hope you are having a great weekend! You know, I have yet to actually read the original Dracula as well. I really must though! With as much as I love vampires, you'd think I would have read Dracula. But you'd be wrong. I definitely should fix that I've gotten back into reading with starting the blog:) Can't wait to read your review of it! Thank you for the comments everyone. I really thought I was the only one who never read Dracula. Thank you for making me feel better! @Sarah-That movie is one of my favorites. I looove Gary Oldman & Anthony Hopkins in that one. @Kate-I get that. the beginning was a bit hard to get through, but it really gets good. Just stopping by via the hop, thought I would say hello!